Everyone dreams to ride in a luxurious stretch limo rental through the beautiful roads. If you are in El Segundo or are planning to visit the city or any city in Southern California, then your wish can be fulfilled and you will be transported in style. ULC Limo introduces the best limousine and party bus rentals at the least costly prices in El Segundo and all of Southern California. And we are not just saying it. We have years of experience to prove it. ULC Limo is a trusted name for providing luxurious limos at an affordable price in El Segundo and all of California. Our rental limos and party buses in El Segundo are the most sought after vehicles for weddings, bachelor parties, proms, funerals, birthday parties and other special celebrations. 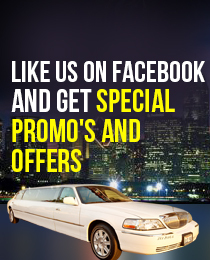 We don’t believe in dictating our customers’ choice when it comes to renting a limousine or party bus in El Segundo. Our representative will give you all the information about our El Segundo limousine rental service and help you make an informed decision. It doesn’t matter if you need the limousine in El Segundo for a few hours or for a few days, we will provide you the most efficient limo service in El Segundo. This is because we value all our customers and want them to be completely satisfied with the service we pride ourselves in. Which El-segundo Limo is Right For You?